Sydney based start-up MapWheel, founded by Russell Bolden and Jesse Little have launched their personalised toposcope product on crowd-funding platform Kickstarter.com. Russell and Jesse have been avid followers of Kickstarter for a number of years now so when it was time to launch their product, they couldn’t think of a better way to do it. “It’s taken a couple of years to get to this point.” Jesse said. “The web-application that allows you to create your personalised MapWheel was quite a complex build. We get most of the data we need from Google Maps API. We then take the image that’s created on screen and use a laser engraver to reproduce it in a range of beautiful materials. As you will see everything is working well and the finished product looks great!”. They plan to use the funds they raise for additional laser engraving equipment and tooling for their coloured anodised aluminium MapWheel’s which are still at prototype stage. 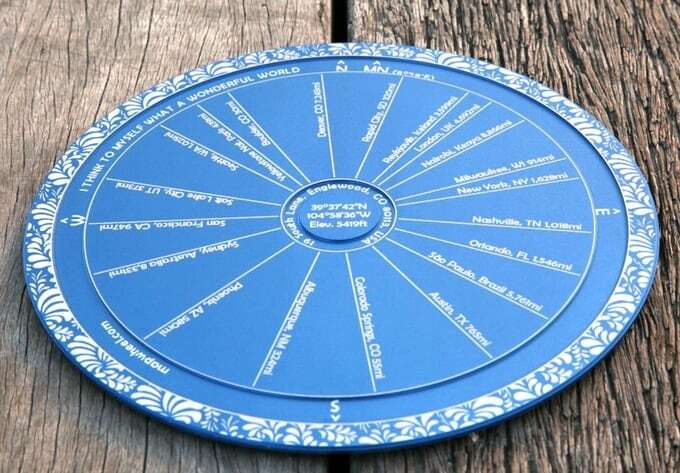 Your can checkout their project on Kickstarter: MapWheel: a toposcope customised for you.